DWT was founded in 1961 as a charity to promote nature conservation through the study, monitoring and management of nature reserves. Since then our work has extended to influencing others who affect our wildlife and to promoting a better understanding and appreciation of wildlife by the public. We offer advice to landowners and managers; we stand up for wildlife in the fight to prevent inappropriate development; and we work to influence decision-makers right up to central government level. Our successes have been many. Across the county ancient coppice woodlands are being managed again after years of neglect, historic grasslands are being grazed appropriately, heathlands and wetlands have been restored by cutting back encroaching scrub and establishing traditional cutting and grazing patterns. Our investment in access, education and community projects has also been successful with hundreds of volunteers giving up many hours to the conservation cause; young people are enjoying their local wildlife for the first time and many people have gained knowledge and inspiration from our education courses. Over the last few years DWT has created a sound financial base, an effective and motivated workforce, and continued to develop opportunities for volunteering. 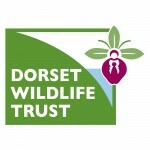 DWT’s membership has grown to more than 25,000, providing a secure base of unrestricted income and establishing DWT as the largest nature conservation non-government organisation (NGO) in Dorset and the 5th largest Wildlife Trust in the UK. A similar growth has been achieved in other counties, making the Royal Society of Wildlife Trusts (RSWT) a strong and influential partnership of 47 Wildlife Trusts across the British Isles.